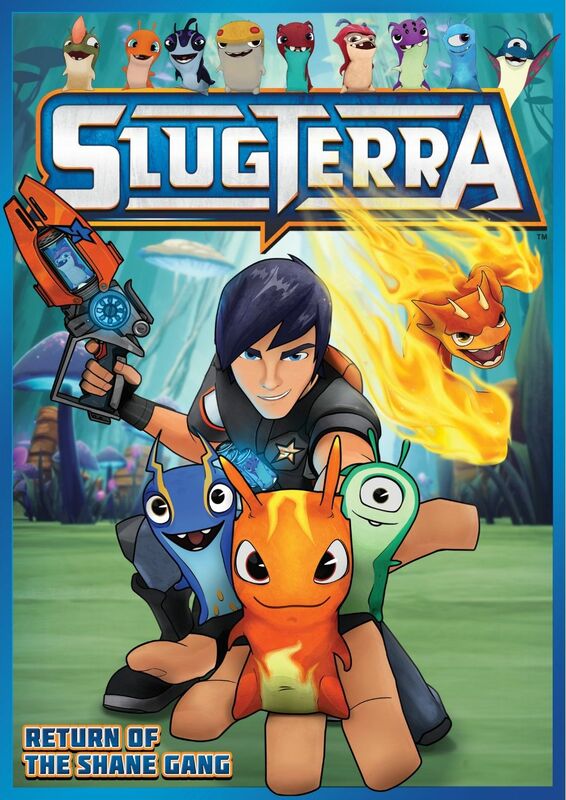 Slugterra is yet another Pokemon-style anime where kids use monsters to battle each other, and the monsters are stored in tiny devices that can fit in the palm of your hand. I recently reviewed another of these types of shows, Monsuno, and I have to say I enjoyed Slugterra more. The main character in both shows is on a quest to find his dad, and neither has any experience using the creatures at the start so they learn as they go. But this show differs in it's artistic style, using a cell-shaded computer graphic animation and takes place in a world that feels a lot more alien (even though it's actually far underneath the Earth). The creatures in this show are called slugs, and they're pretty small and typically kept in small tubes which are then loaded into guns like ammon and shot off, because once the slugs reach a certain speed they transform into a larger, more powerful form. Now the show says that the transformation speed is 100 miles per hour, but there are some scenes in the show which seem to indicate the actual speed is much slower. What I like is that the slugs have to be taken care of and treated well, not just stored in a device until it's needed. The main character is a boy by the name of Eli Shane, voiced by Samuel Vincent who has done a TON of anime and cartoon character voices so you may recognize the voice. His friends are a tracker named Pronto the Magnificent, a sassy slug expert named Trixie, and a mechanic cave troll named Kord. Together, they call themselves the Shane Gang, and I found them more interesting than the Monsuno's group of friends. Their dynamic just seems to keep the mood flowing with personality. Of course there is a bad guy and his name is Dr. Thaddius Blakk, and unfortunately he found a way to mutate slugs so that they are way more powerful, and also evil! So in addition to tracking down his dad, Eli and the gang also have to deal with this guy and hopefully find a way to turn corrupted slugs, called ghouls, back to normal. It won't be easy!! The DVD also contains a couple extra features. There is an into to Slugterra with the creator and story editor, and animated "Slugisodes".